My life was highly organized, neat, and tidy before I had kids. I never forgot appointments and always knew where my shoes were! Add 2 busy kids, field trips, managing a household, and suddenly my life was chaos. As Evernote says, “Evernote helps you capture and prioritize ideas, projects, and to-do lists, so nothing falls through the cracks.” You can access everything you’ve stored in Evernote on any computer or tablet. Download the app to your smartphone for convenience. Here is an example of how you might use it in everyday life. Using Evernote, you start a grocery list in the kitchen using your tablet. Later, while surfing on your desktop, you add a few more items, also in Evernote. You share that folder with your husband so he can add or delete items, too. Share that same folder with the kids so they can add lunch, snack, and class/birthday party items if they want. This is especially helpful for teenagers who might be cooking some of their own meals and needing things like shampoo, deodorant, and hair gel. By the time you get to the grocery store, you have an up to date list on your phone. Even while you’re in route, your family can add to the list. 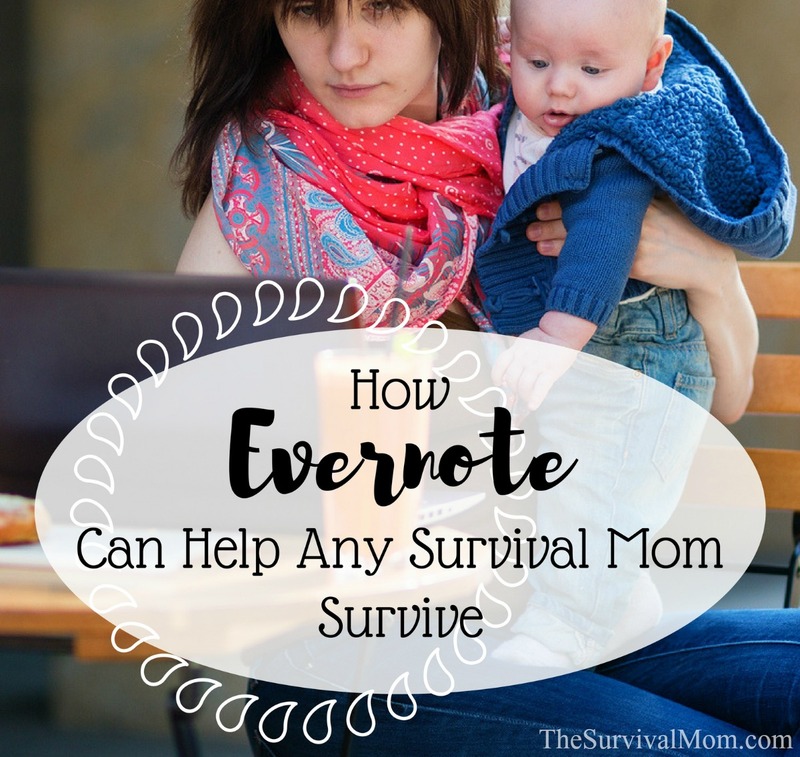 This is very handy and a grocery list is just one of the ways Evernote can help any Survival Mom. Personally, I keep a file of my favorite dinner recipes. I can browse the recipes in Evernote, the links are there and ready to be clicked, review the ingredients, and then immediately add what I need to my shopping list. Evernote can help a great deal with planning all kinds of things, such as family vacations and events. 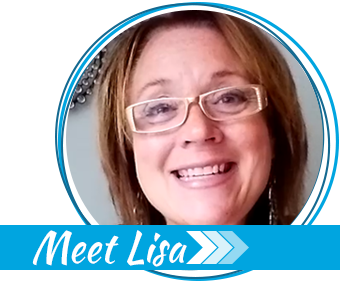 Create packing lists (I have one for cold weather and a different one for warm weather), wedding plans, birthday parties, camping trips, and the like. You’ll also find Evernote handy with tracking your prepping. For each of these, create a checklist and keep track of what you have and what you still need. Keep a To Buy list in Evernote, a To Do list, and a To Learn list. They will always be handy and ready for editing any time you have access to a computer, tablet, or smartphone. Just go to Evernote.com and log in. I’m a big fan of checklists! Every time I check something off my list, it feels like I’ve accomplished something. Evernote makes it easy to add checkboxes, and checking them off is a simple click or tap. 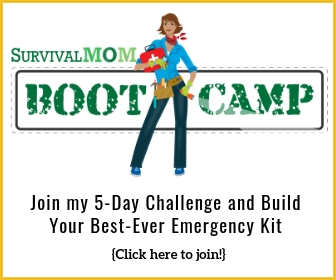 As a prepper, this can be a great way to keep track of your preps. When you use items or buy new ones, simply update the information in your note. If something is a more urgent need or a higher priority, tag it with a different color or font size so it stands out. With a built-in checkbox feature, creating and maintaining checklists is incredibly easy. I love to use the strike-through feature to help me keep track of the items on my list. Just strike through each item as you put in your cart, that way you will know that you forget anything. I also have a folder of to-do items and multiple notes within that, including family, medical, school, groceries/food, cleaning, and more. TIP: Learn what is in a grab and go binder. You can scan and upload to Evernote some of the documents for your binder as long as they aren’t sensitive. Basic Evernote is free and will go a long way to helping you get your life organized. With Premium Evernote, $7.99/month, the “clip to Evernote” feature makes it simple to copy whole web pages, save bookmarks, attach PDFs, and take screen-grabs. The ability to access information virtually could be a literal lifesaver in an emergency. I particularly like grabbing infographics to save for later. This is definitely my favorite Evernote feature. I love how easy it is to keep and share up-to-date information available for the whole family, including maps and safety information for the kids. Evernote also makes it possible to store more detailed medical information than most people can remember off the top of their head, including images, diagnoses, and prescriptions. In the event of an accident, a First Responder wouldn’t go looking through your apps and find it, but even little kids can be trained that they should show a specific folder to adults in an emergency. Similar to the grocery list mentioned above, you can have a folder with a note that everyone can access — kind of like a family bulletin board. Everyone with permission will be able to post simple messages, such as where they are, notes about homework assignments, and birthday wish lists. You can get real-time updates and can give feedback, even directions for where to go. The idea is similar to texting but on a different network. More importantly, I find it easier to put larger amounts of text and images like a map screengrab into Evernote than a text message. You can also format it differently, including the creating of checklists. Most of the information on Evernote is stored in the Cloud, which makes it vulnerable to loss in the case of something like an EMP. Read this article for more information about the usefulness of Cloud storage for preppers because Cloud storage is too handy to not use in a multitude of ways. TIP: You can learn more about why you should protect your electronic devices from an EMP in this article. Evernote is available on smartphones via the app, but if you don’t have a smartphone, you can access Evernote on Amazon Fire devices and other handy tablets. This is actually a very good option because the screen is larger and a tablet is easier to carry than a larger laptop. If you’ve been keeping your kids away from smartphones, you can still share folders with them containing maps, data, contact information, etc., to help them if there’s an emergency and we aren’t with them. This could help them survive until parents or first responders arrive. By the way, if you ever find yourself away from your smartphone, tablet, and computer, you can still access your Evernote information on any device, anywhere, including a public computer at the library. Evernote has two options. Basic (free) and Premium, $7.99/month. I started with the basic service and recently upgraded to Premium so I can share folders with my husband. You’ll need Premium in order to share with others and this level allows you to use your account on more than three off-line devices. It is amazing how fast our devices add up! Accessing your account on Evernote.com can still be done from anywhere you can access the internet. Give Evernote and try and see what you have been missing. 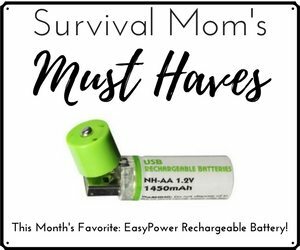 The benefits it offers can really aid Survival Moms to keep track of the simple things in life and help them prepare for the big ones. NOTE: I am not an affiliate of Evernote and receive no compensation in any way. I just think it’s a handy app to help moms get better organized. The 12 Days of Christmas: Day 5, Keep it Simple, Sweetie! Bethanne is an eclectic writer who lives in the exurbs (that's what comes after the suburbs) with her husband, sons, and cats. 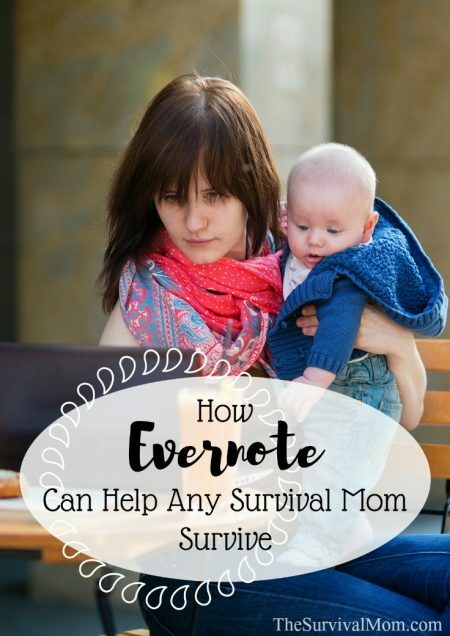 She has been writing for The Survival Mom since 2010. 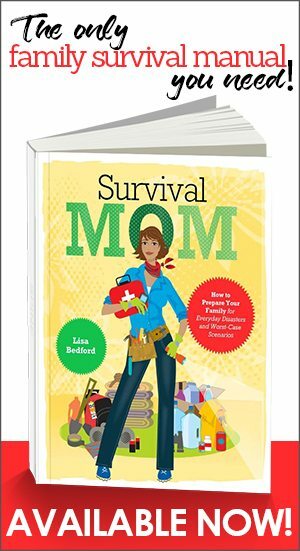 You can learn more about her books, including the "Survival Skills for All Ages" series, at TheModerateMom.com. Cool, but for $7.99 a month, I will stick with my ColorNote on my phone that was a free download. Thanks for the article! There is a free version that does most of the same things. I’ve not used ColorNote but besides Evernote, I really like Google Keep. Evernote does more, but Keep is nice for sharing things with my husband and kids. Keep in mind those things you want to remain secure (ie. your preps), do not belong on the cloud.